The hip joint is a large ball and socket joint, similar to that in the shoulder, however the hip joint provides a lot more stability and more limited movement due to its position as a weight bearing joint. 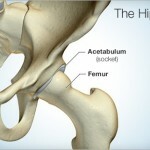 Hip pain is quite common. Causes can include wear and tear of the cartilage, overuse of the muscles and tendons and also the hip bone itself can be damaged through injury and disease. Some people may also suffer from pain in the hip which is referred pain from the lower back. Your physiotherapist will do an overall assessment on your first visit to find the root problem to your hip pain. Based on the results of the assessment your therapist will begin treatment and provide you also with some home work to do which could consist of exercises that you can practise at home to relieve pain and improve movement. Hip pain can cause a number of associated problems such as issues with gait or walking. Your therapist is trained to assess these issues and treat accordingly. At archview physiotherapy clinic our Physiotherapists are also trained dry needling practitioners. Dry needling is very good for the treatment of hip pain which is associated with muscle dysfunction around the hip joint.